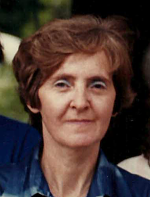 Gladys May ‘Doty’ Norton Lovett of Allegan, Michigan passed away Saturday, January 26, 2013 in Allegan. Gladys was born June 22, 1923 in Owosso to Chandler and Mary Doty. She graduated from Owosso High School with honors and later attended Moody Bible Institute. Doty enjoyed planting flowers, cooking, sewing, quilting, antiquing, listening to country music and singing. In June of 2008, in Allegan she married Lewis E. Lovett who survives. Also surviving are 2 children, Janet Sue Norton and Steven Howard Norton, both of Otsego; 2 step-children, Eric L. Lovett of Jacksonville, AL and Mark E. (Carrie) Lovett of Allegan; 8 grandchildren; 12 great grandchildren. She was preceded in death by an infant daughter, Judy. Cremation has taken place. A memorial service will be announced at a later date. Contributions in memory of Gladys may be made to the American Cancer Society or Wings of Hope Hospice. 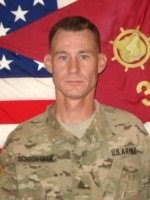 SSG Mark H. Schoonhoven of Fort Carson, Colorado (formerly of Plainwell, Michigan) passed away Sunday, January 20, 2013 at Fort Sam Houston, Texas, as the result of injuries suffered December 15, 2012 in Kabul, Afghanistan, after recently beginning his fifth tour of duty. He served for almost 7 years, joining the Army in 2006. He graduated from basic training at Fort Knox, Kentucky and served as a motor transport operator for the 32nd Transportation Company, 4th Infantry Division. He had also served in the 82nd Airborne Division. SSG Schoonhoven was born June 13, 1974 in Plainwell to Harry and Deb (Markle) Schoonhoven. He attended Plainwell High School and enjoyed fishing and playing video games. Surviving are his wife, Tammie (Loffer); six children, Nickolus Ramsey Schoonhoven of Otsego, Anjelika Schoonhoven and Ava Schoonhoven, both of Colorado, Sylvia Loffer and Forrest Loffer, both of Colorado and Sheeshta Perry of Crossville, TN; his parents; a brother, Christopher (Daniela) Schoonhoven of Plainwell; his grandmother, Jacobas Schoonhoven of Alabama; two nephews and one niece, Brandin, Gabriel and Elizabeth Schoonhoven; several aunts, uncles and cousins. Friends may visit with Mark’s family from 2 to 4 and 6 to 8 P.M. Wednesday, February 6, 2013 at the Winkel Funeral Home, Otsego, Funeral Services will be held at St. Margaret Catholic Church, 766 S. Farmer St., Otsego, at 11:00 A.M. Thursday, February 7, 2013, Mr. Don Verkow and Pastor Louis Arnett officiating. Burial with Military Honors will follow at Fort Custer National Cemetery, Augusta. Contributions in memory of SSG Schoonhoven may be made to the Warrior and Family Support Center, 3138 Rawley Chambers, San Antonio, TX 78219 or the Semper Fi/Army Fund, 825 College Blvd., Suite 102, PMB 609, Oceanside, CA 92057. Barbara J. Rink of Otsego, Michigan, passed away Sunday, January 20, 2013 in Kalamazoo. Mrs. Rink was born September 14, 1922, in Syracuse, IN to Flod and Jennie (Gardner) Baker. For many years she was employed as a cook at Cunningham Nursing Home in Plainwell. Barbara was a very active member of the Rebekah Lodge in Otsego and a member of Friendship Wesleyan Church. Surviving are three daughters, Ginny (Larry) Barber of Gobles, Gail (Bernie) Cronkhite of Alamo and Patti (Larry) White of Mishawaka, IN; five grandchildren, Jeff (Susan) Barber, Greg (Tori) Barber, Michelle Colyer, Julie Evans and Jason (Katrina) Evans; 12 great-grandchildren; a great-great-granddaughter; a sister-in-law, Mary Jane Rink of Goshen, IN; several nieces and nephews. She was preceded in death by her husband, Lawrence J. Rink in 1982; a daughter, Carol Ann in 1966; two brothers and a sister. Friends may visit with Barbara’s family from 2 to 4 and 6 to 8 P.M. Thursday, January 24, 2013, at the Winkel Funeral Home, Otsego, where Funeral Services will be held at 11:00 A.M. Friday, January 25, 2013, Pastor Kevin Smith officiating. Burial will follow at Hillside Cemetery, Plainwell. Contributions in memory of Barbara may be made to the American Heart Association of Michigan or Friendship Wesleyan Church. 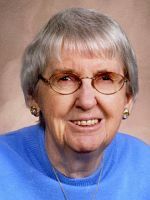 Carolyn E. Brabon-Gernhart of Portage, Michigan, passed away Wednesday, January 16, 2013, in Portage after a long illness. Carolyn was the eldest daughter of Fred and Loraine (Baldwin) Brabon and was born April 2, 1942 in Plainwell. Carolyn graduated from Otsego High School and later worked at Parker-Hannifin in Otsego. She loved her children, extended family and friends, music and animals. She was artistic and enjoyed painting and crafting. Carolyn is survived by her daughters, Cheryl (John) Lester, FL, Amy Harris, Kalamazoo; and son Eric (Nicky) Nowman, FL; 6 grandchildren and 1 great-grandchild. Also surviving are sisters, Jeanne (Robert) Thompson of Paw Paw, Ann (Michael) MacCreery of Kalamazoo and brothers, Jerry (Kim) Brabon, of FL and Leonard (Gloria) Brabon of Kalamazoo. The family held a private memorial service with interment of cremated remains. Contributions in memory of Carolyn may be made to S.P.C.A of Kalamazoo. Nicki Rose DeLeeuw, D.V.M., of Allegan, Michigan, passed away Friday, January 18, 2013 at her home. Nicki was born March 6, 1949 in Allegan to Merton and Lois (Stockdale) Sebright. Nicki graduated from Hopkins High School and attended KVCC. While at school in Kalamazoo she worked as a secretary for Brown Company. She moved to Texas to attend flight attendant school and was employed with Braniff Airlines. She returned to Michigan where her passion for animals led her to become a veterinarian. She worked as a waitress to pay her way through KVCC, Kalamazoo College and Michigan State University, where she earned her Doctorate of Veterinary Medicine. From 1997 until the present she practiced veterinary medicine at the Allegan Veterinary Clinic. Nicki was an avid reader and enjoyed horseback riding, her cats and dogs and especially enjoyed spending time with her grandchildren. Surviving are her children, Dale Michael (Amy) DeLeeuw of Kalamazoo, Kenneth James Dark, III and Tracey (Shawn) Howerton both of Vicksburg; eight grandchildren; a sister, Susan (Michael DeHaan) Sebright of Allegan; a brother, Dale (Pamela) Sebright of Allegan; several aunts, uncles, nieces, nephews and cousins. She was preceded in death by her parents and her partner in life, Kenneth Dark, Jr. in 2008. Cremation has taken place. Friends may meet with Nicki’s family from 6 to 8 P.M. Wednesday, January 23, 2013, at the Winkel Funeral Home, Otsego, where Memorial Services will be held at 11:00 A.M. Thursday, January 24, 2013. Contributions in memory of Nicki may be made to Wings Home in Allegan or Wings of Hope Hospice. Kelene Kay Pearson of Pine Lake passed away Thursday, January 17, 2013 at her home. Kelene was born January 30, 1961 in Plainwell, the daughter of Allen and Jo A. (Bradshaw) Robinson. She graduated from Plainwell High School in 1979 and for over 10 years, she was employed at the Doster Country Store. She enjoyed reading, fishing, pontoon rides and loved her animals. On October 10, 1986 she married George W. Pearson, who survives. Also surviving are a daughter Sara; a son, Drew; a sister, Jenann (David) Pearson; a brother, Douglas (Sarah) Robinson; several nieces and nephews. Preceding her in death were her maternal and paternal grandparents, Roy and Eloise Robinson and June (Archie) Bradshaw and a paternal aunt Cheryl Chapin. Cremation has taken place. A memorial service will be held Sunday, January 20, 2013 at 2:00pm at St. Timothy Episcopal Church, 9800 East BC Ave., Richland, MI 49083, Fr. Terry Haughn officiating. Memorial contributions may be made to Wings of Hope Hospice or the Barry County Animal Shelter. James D. Rogers of Jenison, Michigan, formerly of Allegan and Haines City, FL, passed away Wednesday, January 16, 2013 at his home. Mr. Rogers was born January 31, 1930 in Kalamazoo to Clyde and Cecile (Emmons) Rogers. For over 20 years he owned and operated Allegan Burner Service. In his leisure time he enjoyed fishing and hunting. On August 4, 1950 in Kalamazoo he married Phyllis Kitsmiller, who survives. Also surviving are two daughters, Debbra (Roger) Miller of Grand Rapids and Cheryl (Terry) Strong of Arizona; five grandchildren; four great-grandchildren; a brother, Dale (Glenda) Rogers; half brothers and sisters, Harry (Donna) Beach, Audrey Griffendorf, Sandra (Robert) McParlin, Chuck (Norma) Rogers, Larry Rogers, Lou Ann (Scott) Boyd, Russell Rogers and Penny (Pete) Warren; many nieces and nephews. He was preceded in death by his father, Clyde Rogers; his mother, Cecile Beach; and a half brother, Earl Rogers. Friends may meet with Jim’s family from 2 to 4 and 6 to 8 P.M. Friday, January 18, 2013, at the Winkel Funeral Home, Otsego where funeral services will be held at 11:00 A.M. Saturday, January 19, 2013, Pastor Alan Carson, Sr. and Pastor Gail Pike officiating. Burial will follow at Mountain Home Cemetery, Otsego. Contributions in memory of Jim may be made to Spectrum Health Hospice. 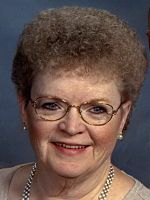 Nettie Jane Lamphear of Otsego, Michigan (formerly of Kalamazoo), passed away Friday, January 11, 2013, at Wings Home in Allegan. Jane was born August 22, 1946 in Buchanan, MI to Carley and Belva (Gregory) Daniel. She was a 1965 graduate of Otsego High School. For 18 years she was employed in the food service of Kalamazoo Public Schools. In her leisure time she enjoyed square dancing, board games, card games, crocheting, camping and wintering in Florida. She especially enjoyed her grandchildren. Jane was a member of the Kalamazoo Missionary Church. On October 3, 1970 in Kalamazoo she was married to Leon Lamphear, who survives. Also surviving are a daughter, Cheryl (Chris) Crawford of Otsego; three grandchildren, Sarah, Jacob and Hannah; siblings, Betty (Perry) Simmons of Three Oaks, her twin sister Jeanette (Carl) Sikkenga of Kalamazoo, Bonnie (Mike) Mattison of Alamo and Dan (Jayne) Daniel of Bridgman; several nieces and nephews. Friends may visit with Jane’s family from 10 to 11 A.M. Tuesday, January 15, 2013 at the Kalamazoo Missionary Church, 5045 E. Michigan Ave., Kalamazoo, where Funeral Services will be held at 11:00 A.M., Pastor Ken Smeader officiating. Immediately following the service a luncheon will be served. A Graveside Service at Mountain Home Cemetery, Otsego, will be held at 2:00 P.M. Tuesday. Contributions in memory of Jane may be made to the Kalamazoo Missionary Church or Wings Home. Robert L. Blank of Plainwell, Michigan, passed away Monday, January 7, 2013 at his home. Mr. Blank was born May 24, 1935, in Crete, IL to Frank and Elsie (Dahn) Blank. Robert had served his country in the U. S. Army and for many years was employed on his own farm. Surviving are two daughters and two sons, Rochelle (Wayne) Long of Allegan, Sheila Blank, Brian Blank and Robert Blank, II, all of Plainwell; five grandchildren; ten great-grandchildren; a brother, Frank (Arlene) Blank of Hopkinsburg; and his former wife, Mary Lou Hall. Friends may visit with Bob’s family from 1:00 to 2:00 P.M. Thursday, January 10, 2013 at the Winkel Funeral Home, Otsego where funeral services will be held at 2:00 P.M. Burial will follow at Miner Cemetery, Watson Township, with Military Honors by V.F.W. Post #3030. 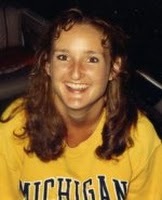 Karen Sue (Mott) Selby of Alamo Township, Michigan, passed away peacefully in her sleep on January 7, 2013 at her home. Karen was born July 21, 1954 in Plainwell, Michigan to Robert B. and Barbara J. (Jager) Mott. For 25 years she was employed at Life Care Center of Plainwell, retiring in 2003. Karen enjoyed cooking, playing cards, a bit of the casino, animals and spending time with her grandchildren. On March 21, 1986 in Alamo she married Lyle A. Selby. She was preceded in death by her parents and her sisters, Wanda (Mott) Folk and Judy Mott. She is survived by her husband, Lyle A. Selby; her children, Mykel Breck, Sarah (Mike Mazur) Selby, Nicky (Brock Morris) Selby; step-children, Jen (Ken) Arendt, Aric (Anita) Selby and Danielle (Skip Thompson) Selby; 10 grandchildren; and 1 great-grandchild; siblings, Karl (Linda) Mott and Bonnie (Duane) Ketchum; several nieces and nephews. Cremation has taken place and burial of ashes will take place at Green Bower Cemetery, Alamo Township, Friday, January 11, 2013, at 4:00 P.M. In lieu of flowers the family suggests contributions in memory of Karen toward her headstone may be made directly to Lyle Selby, 10193 N. 12th St., Kalamazoo, MI 49009.